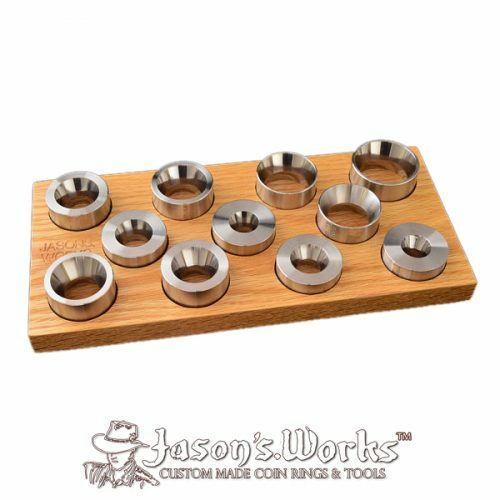 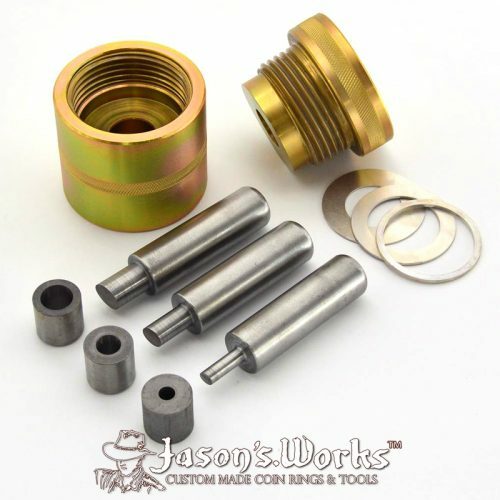 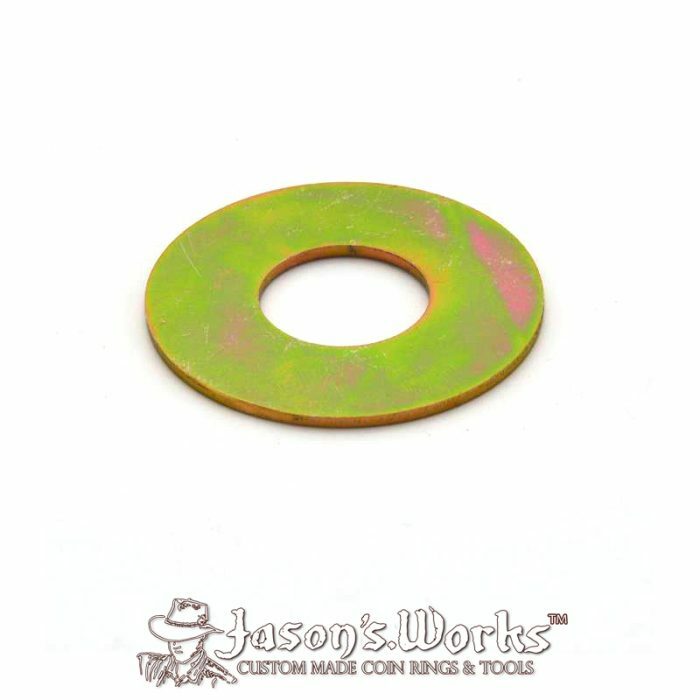 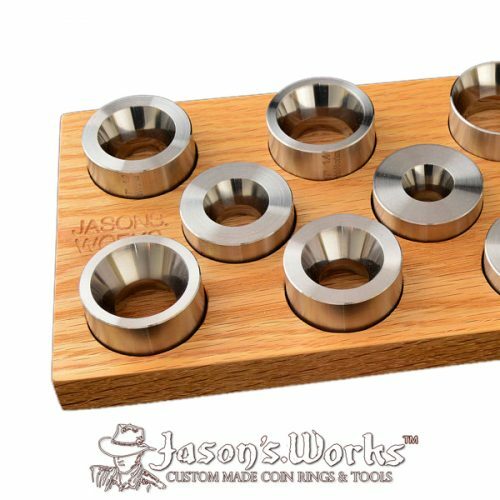 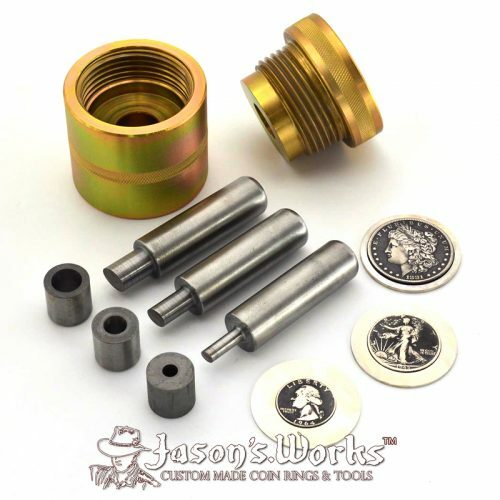 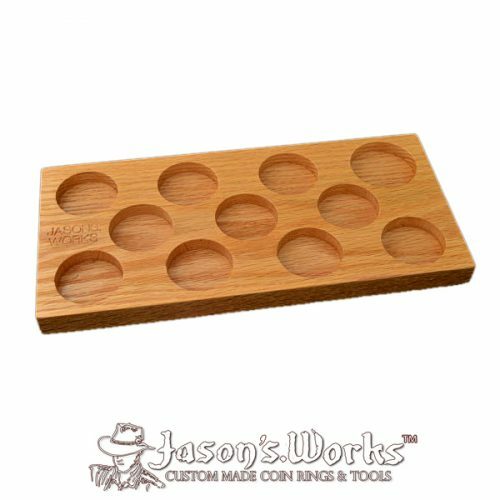 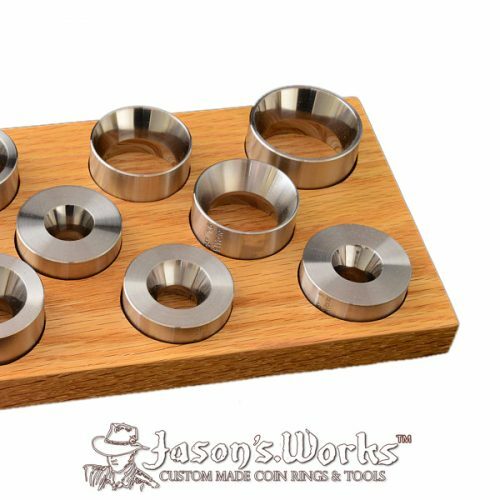 Get this die to upgrade your current 5/8 inch punch set for your Jason’s Works self centering coin ring punch. 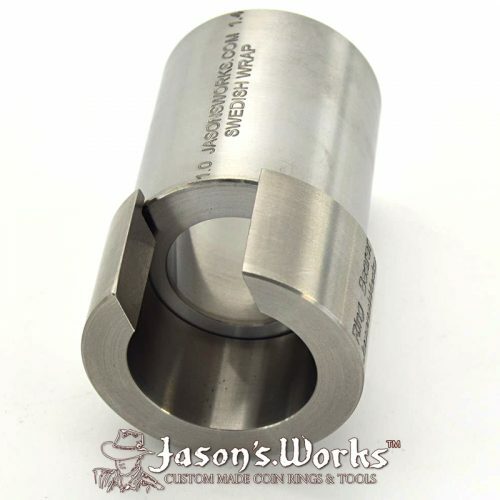 I like to use this punch size for Morgan dollar and Silver Eagle dollar sized coins. The die is hardened tool steel, hand lapped to be ultra smooth, and zinc plated to resist rust. 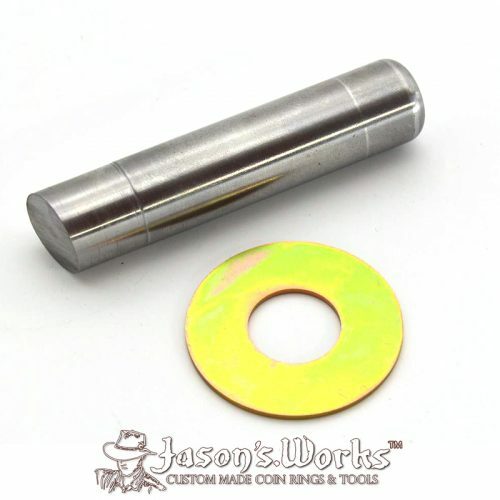 This new design allows for the plug to fall through the die immediately. 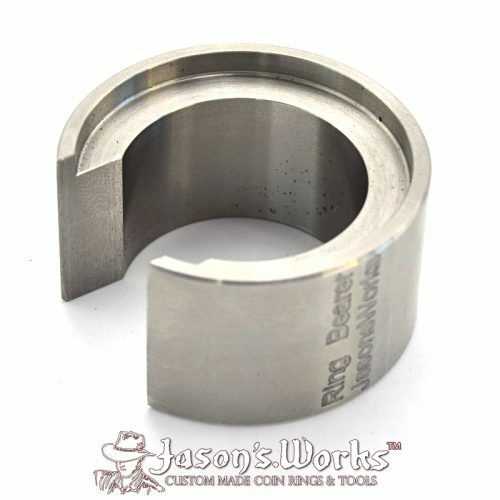 Remove the plug from the housing by simply turning the housing over. 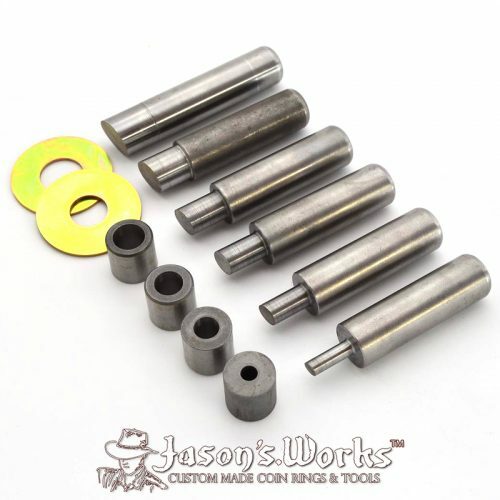 NOTE: You can use either side of the die in the punch housing.